The image appears to bulge out though they consist of squares or rectangles. 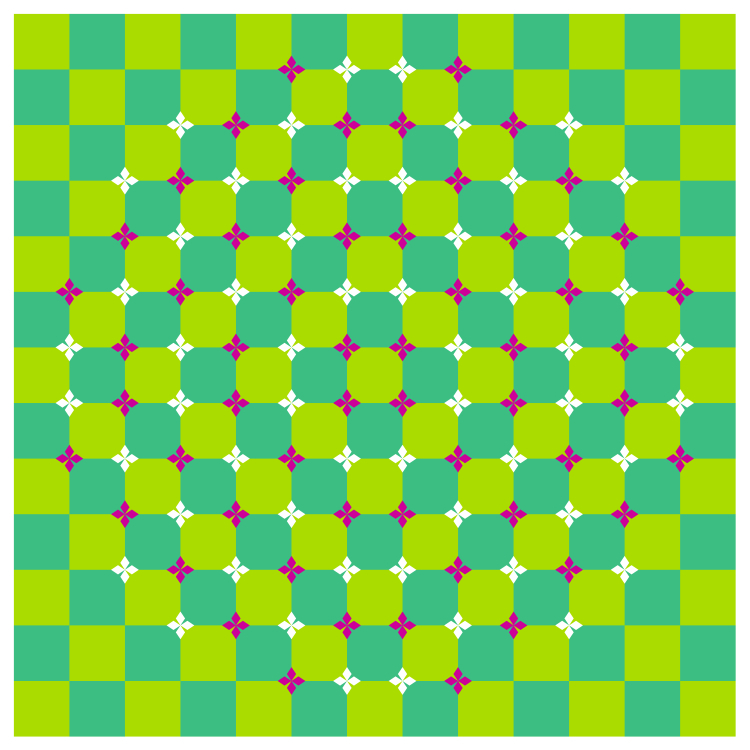 In addition, there is anomalous motion illusion, too. Border lines are aligned vertically or horizontally, but they appears to be curved giving a bulging impression. 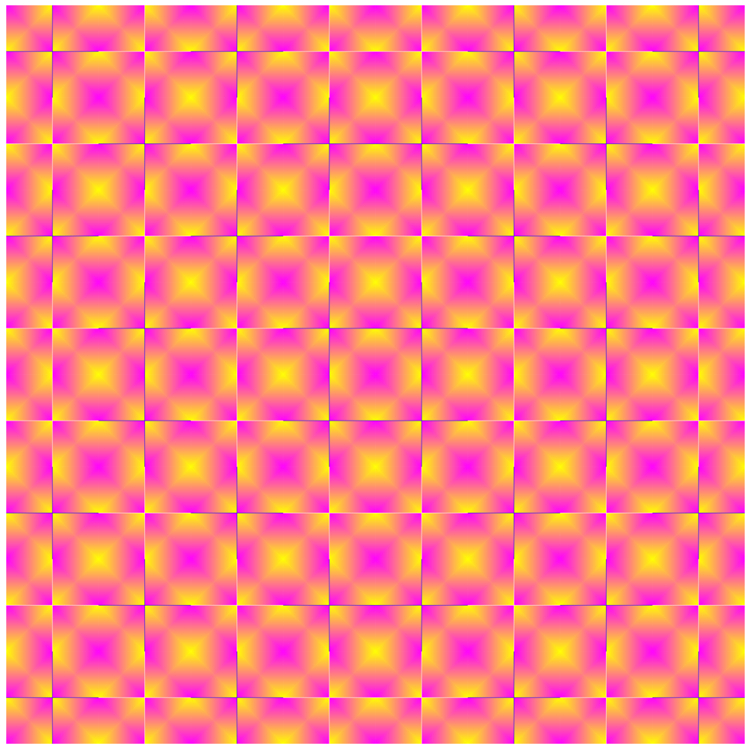 Each checkered background consists of squares but appears to be distorted like a bulge or concave. 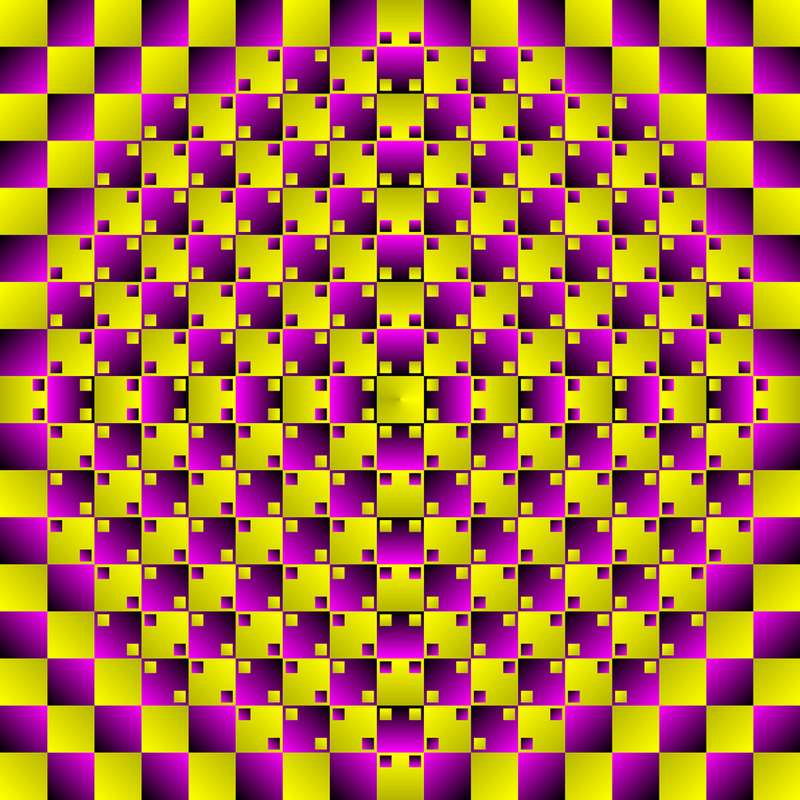 In addition, these figures show a retinal-slip-dependent anomalous motion illusion. 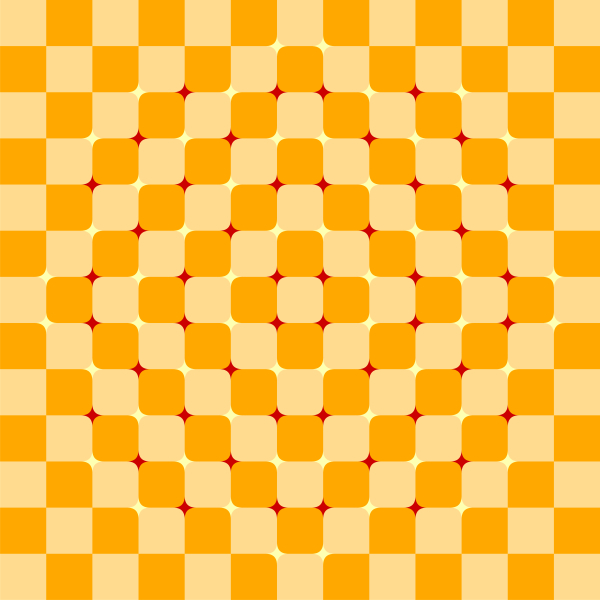 Each checkered background consists of squares but appears to be distorted like a bulge or concave. In addition, these figures show a retinal-slip-dependent anomalous motion illusion as well as a pattern-dependent expanding-contracting illusion. 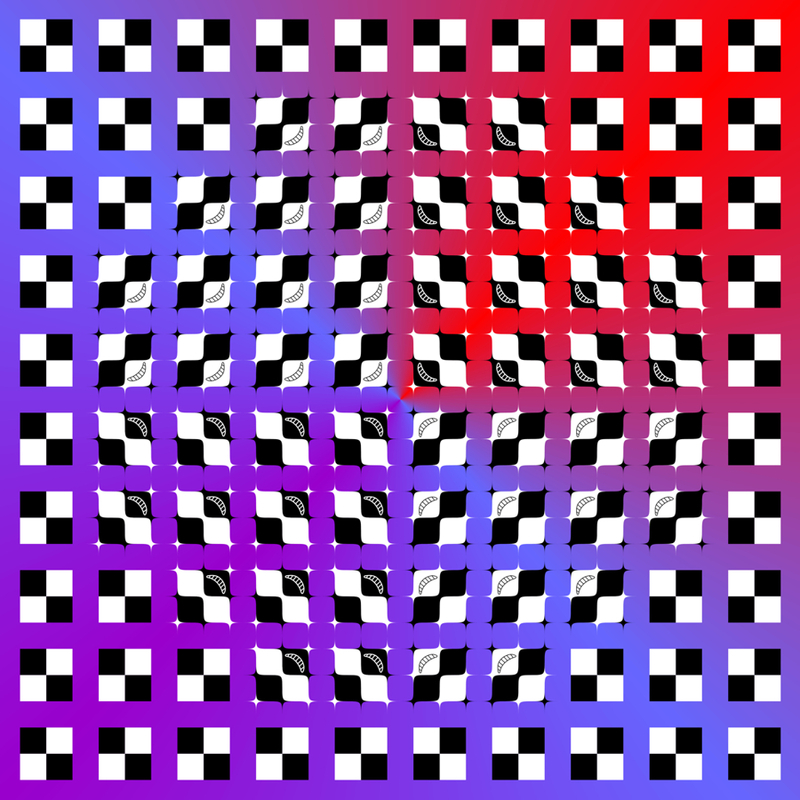 Each checkered background consists of squares but appears to be distorted like a bulge or concave. 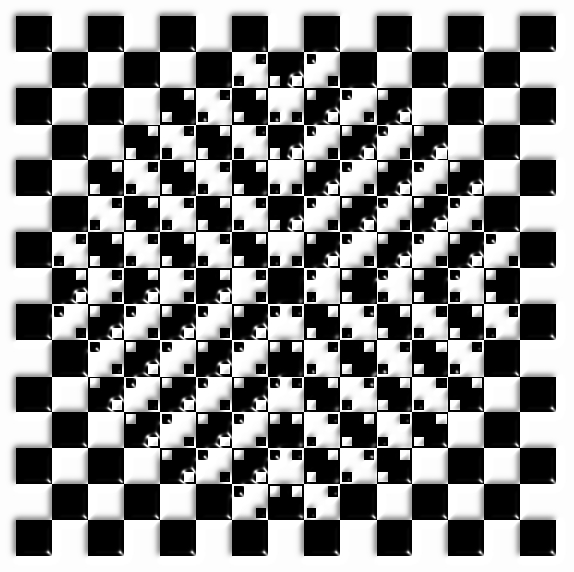 In addition, these figures show a retinal-slip-dependent anomalous motion illusion as well as a pattern-dependent rotating illusion. 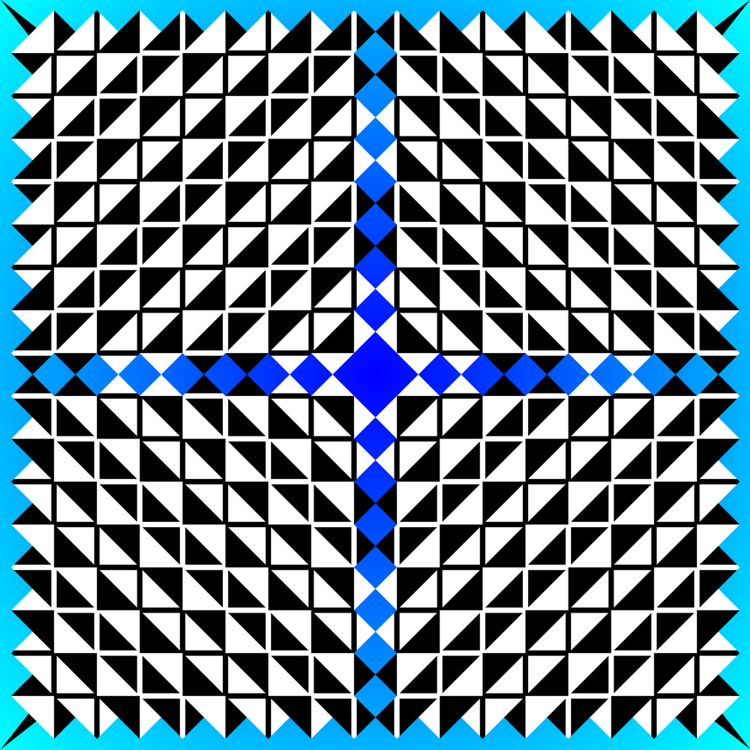 The image made up of squares aligned vertically and horizontally appear to bulge out. 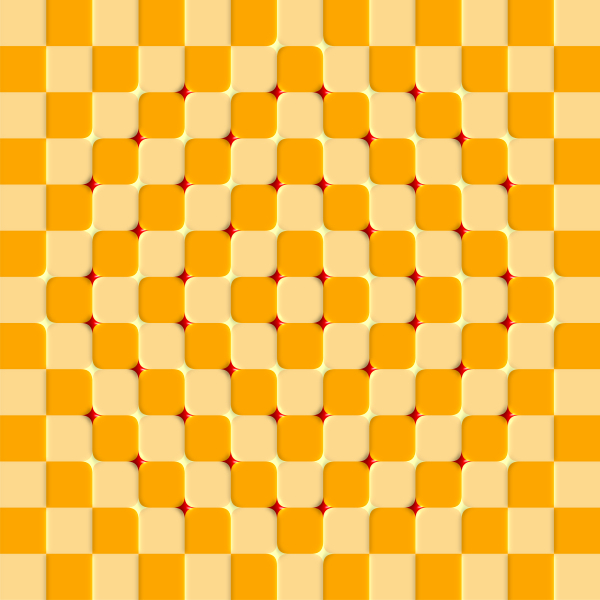 It looks as if the checkered surface bulges out, though this figure actually consists of squares. Vertical or horizontal components appear to tilt. 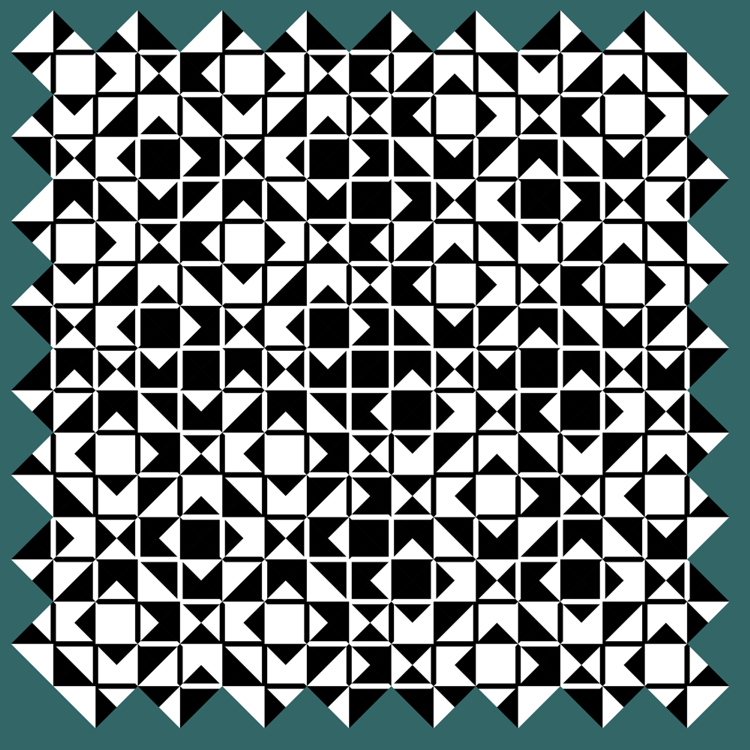 Although this background consists of only squares, the central part appears to bulge out. Although this image consists of only squares with some light and shadow, the central part appears to bulge out.